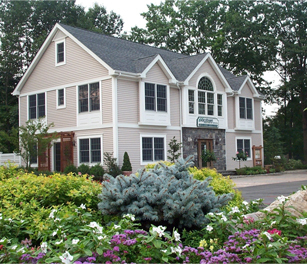 As a premier landscape design firm, we aim to attract and retain the most talented individuals who are dedicated to our mission of providing exceptional services to our clients. Our unique company culture helps our people reach their personal and professional goals through career development programs, specialized training, continuing education programs and opportunities for advancement. We promote and support our employees in their efforts to attain the highest industry designations in their specialization including CLT (Certified Landscape Technician) and CLP (Certified Landscape Professional). Further, we remain active in the industry trade associations PLANET (Professional Landcare Network), NJLCA (New Jersey Landscape Contractors Association), SIMA (The Snow & Ice Management Association) and the IANJ (Irrigation Association of New Jersey). We encourage you to find out more about why Jacobsen Landscape Design and Construction is an exciting place to work by exploring our web site. An internship experience is a vitally important tool for helping to determine the course of your career. 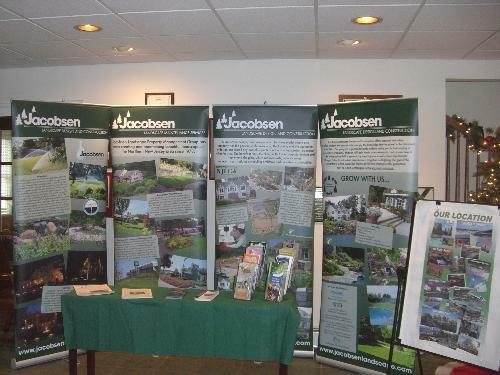 As a Jacobsen Landscape intern, you will be provided a comprehensive overview of all aspects of the green industry. Our Internships are geared towards students currently enrolled in Landscaping or Horticulture programs, and provide opportunities for students to gain practical hands on knowledge and experience by rotating through each of our departments: Design, Construction, Maintenance, Irrigation / Lighting, and Administration. Internships are paid and we offer subsidized housing. Interns are each paired with a professional mentor who will provide support and guidance throughout the internship. Here at Jacobsen, many of our employees started their careers with us as interns, and we aim to hire these individuals as full time employees after graduation. Jacobsen Landscape Design and Construction is an Equal Opportunity Employer. If interested in any of the opportunities below, please submit your resume online by clicking the “Apply Now” button at the bottom of this page or email your resume to info@jacobsenlandscape.com. Business Development - soliciting new residential maintenance contracts. Ensure the customers are completely satisfied through effective communication, relationship building and regular site visits. Selling enhancement services in order to improve site conditions. Ensures that enhancement work is completed successfully, on budget and on time. Maintain relationships with clients through phone calls and emails. Develop and implement ways to be proactive with clients. AA or 4-year horticulture degree preferred or a minimum of 5 years related industry experience of which 2 years were in a supervisory capacity, CLT preferred. Basic knowledge of horticulture/plant id. Must be able to read, write and converse in fluent English with clients, co-workers, government representatives and the public at large. Possess basic Spanish conversational skills. Employee is frequently required to stand, walk, handle, reach with hands and arms, stoop, kneel, crouch, or crawl, talk and hear. Occasionally, employee will sit, climb or balance. The employee must regularly lift and/or move objects up to 50 pounds and occasionally lift and/ or move more than 100 pounds. Vision ability includes close vision, distance vision, depth perception and ability to adjust focus. Employees in these this position are regularly exposed to outside weather conditions including extreme cold, heat, wind and rain. Employees are occasionally exposed to fumes or airborne particles, toxic and caustic chemicals, and risk of shock. Employees are frequently exposed to moving mechanical parts. If you meet the requirements and are interested in applying for this position, please send your resume to Kathy Ryan at kathy.ryan@jacobsenlandscape.com. The primary role of the Design/Build Crew Member is to install quality landscape projects per contract in an efficient and safe manner with complete client satisfaction. The Design/Build Crew Member will present a positive company image with employees, clients, and the general public. They will take direction from the Crew Leader. They need to have 2 years’ experience with installing wet and dry hardscapes, planting and plant identification, lawn installation, installing drainage systems, operating skid steers and mini excavators. They will have a positive and team attitude and be able to work in all types of weather conditions. Employee is frequently required to stand, walk, handle, reach with hands and arms, stoop, kneel, crouch, or crawl, talk and hear. Occasionally, employee will sit, climb or balance. The employee must regularly lift and/or move objects up to 50 pounds and occasionally lift and/or move more than 100 pounds. Vision ability includes close vision, distance vision, depth perception and ability to adjust focus. Employees in this position are regularly exposed to outside weather conditions including extreme cold, heat, wind and rain. Employees are occasionally exposed to fumes or airborne particles, toxic or caustic chemicals, and risk of shock. Employees are frequently exposed to moving mechanical parts. The Maintenance Crew Member will provide successful completion of high quality landscape maintenance services in a timely, safe and efficient manner. The Maintenance Crew Member will promote a positive company image with employees, clients, and the general public. The applicant must be safety-minded, have an eye for detail, be experienced using all types of maintenance equipment, take pride in providing superior services, be a team player, and work in all types of weather conditions. -The Maintenance Crew Member must possess a positive "can-do" attitude to meet the daily expectations/goals established by the Crew Leader and the company. The Landscape Maintenance Crew Leader is the primary contact to the client and is the front-line leader in the performance and delivery of high quality landscape maintenance services provided by the company. The Landscape Maintenance Crew Leader performs, supervises and coordinates activities of the Crew Members. He/she must perform in accordance with contract specifications within given budgeted parameters, with safety of the team, clients and the public in mind, and in a professional manner. The applicant must be safety-minded, be able to communicate effectively with clients and management, have an eye for detail, be experienced using all types of maintenance equipment, take pride in providing superior services, be able to drive a truck and trailer, be a team player, and work in all types of weather conditions. - Must be able to read, write and converse in fluent English with clients and co-workers. - Possess basic Spanish conversational skills. The Design/Build Crew Leader is responsible for working with and directing a crew in the daily progress of the work assigned that day. The Crew Leader is responsible for maintaining a safe work environment, quality control, and achieving daily production targets. He/she must have a minimum of 4 years’ experience with installing wet and dry hardscapes, planting and plant identification, lawn installation, installing drainage systems, operating skid steers and mini excavators, driving a truck and trailer, purchasing material. They must know the steps to execute efficient landscape projects and be able to make decisions. They must be able to work in all types of weather conditions. If interested in any of the above opportunities,submit your resume online by clicking "Apply Now" button.